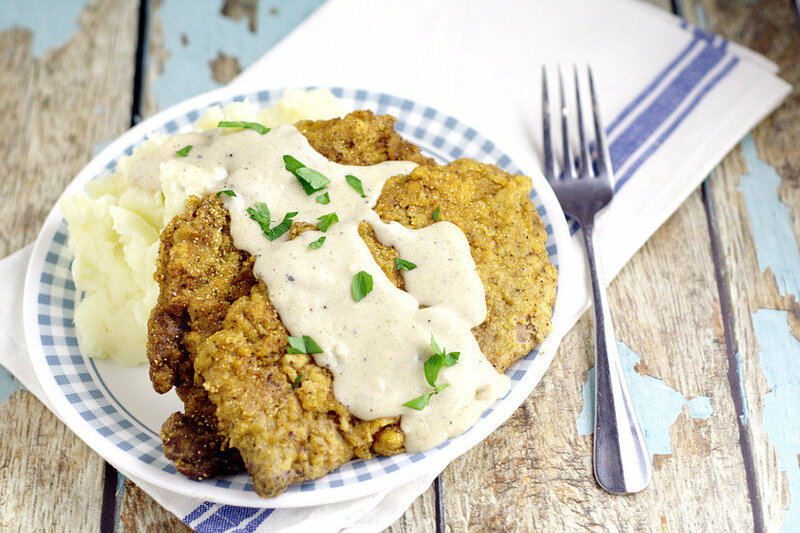 Classic Southern Chicken Fried Steak with White Gravy is quick and easy to make and makes a perfect comfort food family dinner. 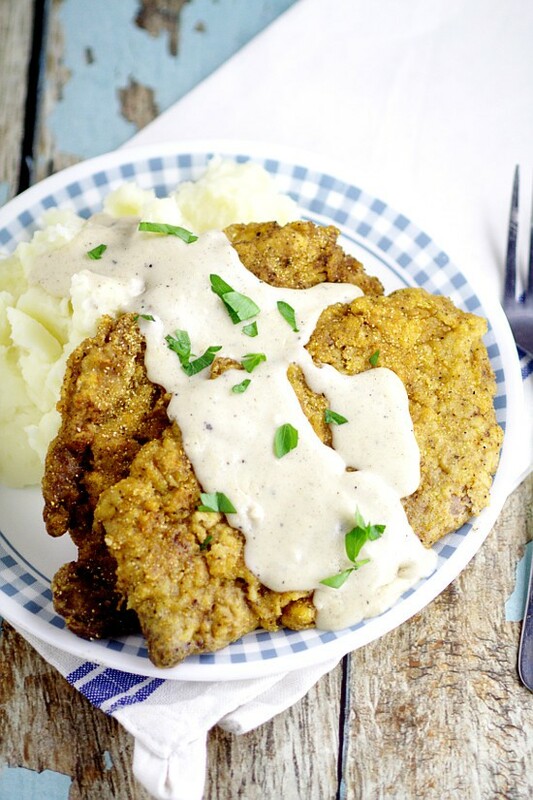 Southern Chicken Fried Steak with White Gravy is just one of those classic recipes that you need to have in your arsenal. It’s a classic for a reason, after all! 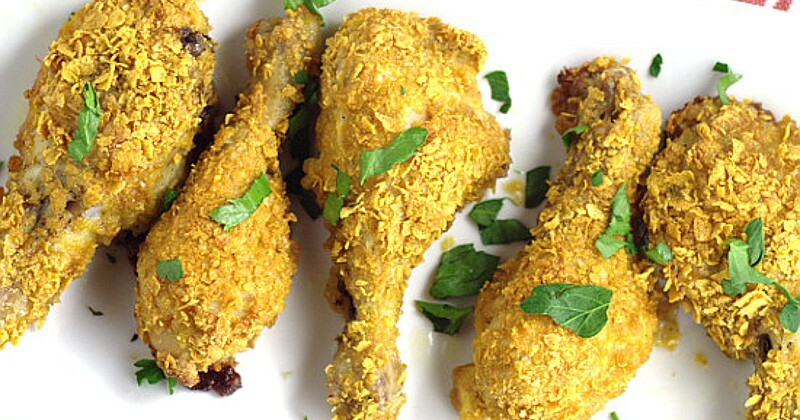 And this recipe is definitely a winner-winner-chicken-dinner! 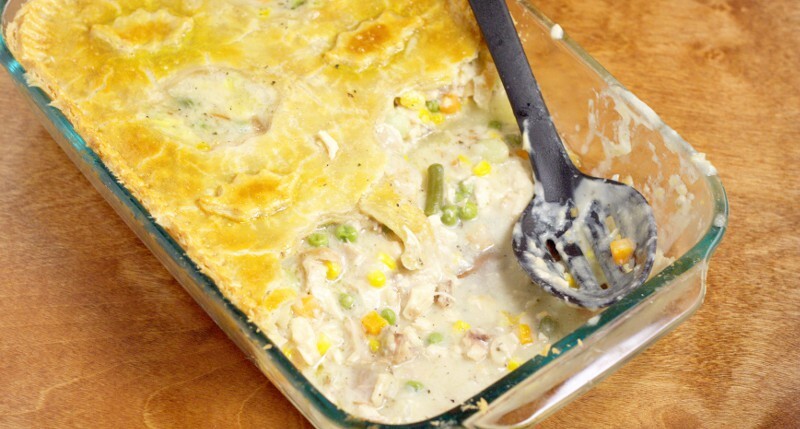 It’s simple, and easy to prep, and allows all of the tasty comfort food flavors to shine. The white gravy portion calls for white pepper. If you don’t have white pepper, get some. Now. It’s pretty much mandatory for your spice rack. Especially if you love delicious gravy. White pepper in any gravy really takes it to the next level. It adds just a hint of spicy, but not too much like your cayenne might, and a hint of pepper flavor, but not as strong as your average black pepper. Just trust me. Put it in gravy. You’ll love it. In a large skillet, melt butter over medium-high heat. Add oil and continue heating while your prep the steak. In a large mixing bowl, combine milk, eggs, and hot sauce. Whisk to combine. In a second large mixing bowl, place flour, cornmeal, garlic salt, and pepper. Stir to combine. Dredge a cube steak in the flour mixture. Then drench in egg mixture. Then return to flour mixture for a final coat. Place on a separate plate and set aside. Repeat for all steaks. Test to make sure your oil and butter mixture is hot enough by throwing a pinch of flour into the skillet. If it sizzles and bubbles, it's ready to go. Cook steaks in hot oil for about 3-4 minutes on each side, or until golden and crispy. You can place your cooked steaks in a low temperature oven (150°-200°) to keep warm while you prepare the white gravy. In the same skillet, mix hot pan drippings (or bacon grease or butter) with flour. Allow to heat until golden for about 1-2 minutes, stirring frequently. Slowly add milk, adding no more than a 1/2 cup at a time. Stir vigorously to combine between each addition. Heat mixture to steaming (but not boiling) and add bouillon and white pepper. Stir to combine. Continue cooking for about 20 minutes, stirring frequently, until gravy has thickened. Add salt and pepper to taste. 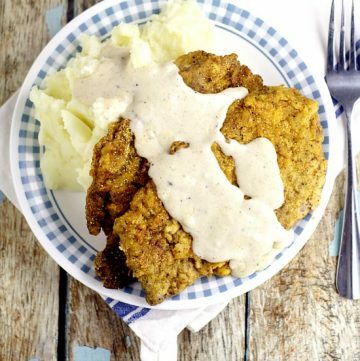 Serve Chicken Fried Steak warm smothered in white gravy, and enjoy! OH MY! 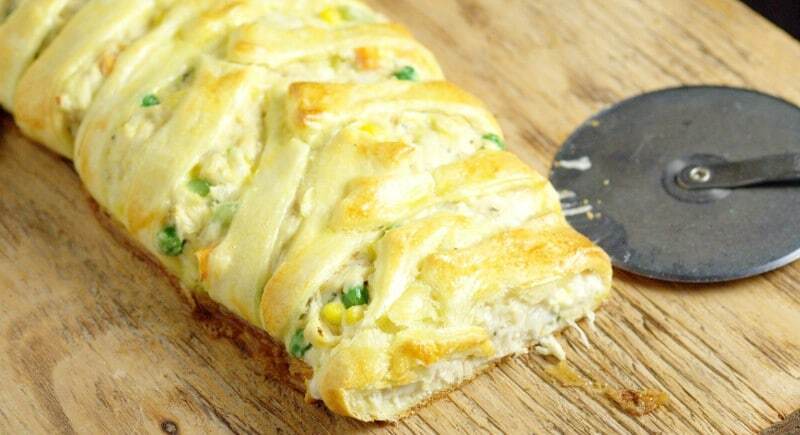 This looks all kinds of incredible, I have got to make some of this asap.